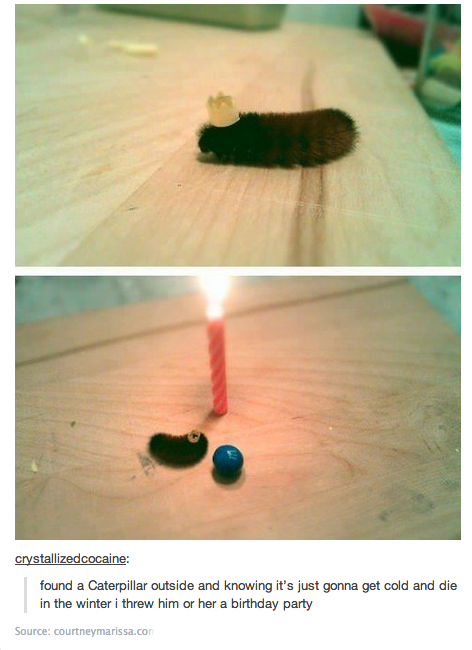 some times its the little things in life that make a difference…happy birthday king caterpillar…. This entry was posted in Amazing, Artsy Stuff, Pics and tagged birthday, candle, caterpillar. Bookmark the permalink. I’m really allergic to those caterpillars, which I discovered when I tried to make one into a pet as an 8 year old. Cute party hat. I made mine a little bed out of a match box.